The Medfield Animal Shelter is pleased to announce they are a 2014 recipient of a $3,000 grant from the MA “I’m Animal Friendly” license plate program. The funds will be used fund two free spay/neuter clinics for feral cats. 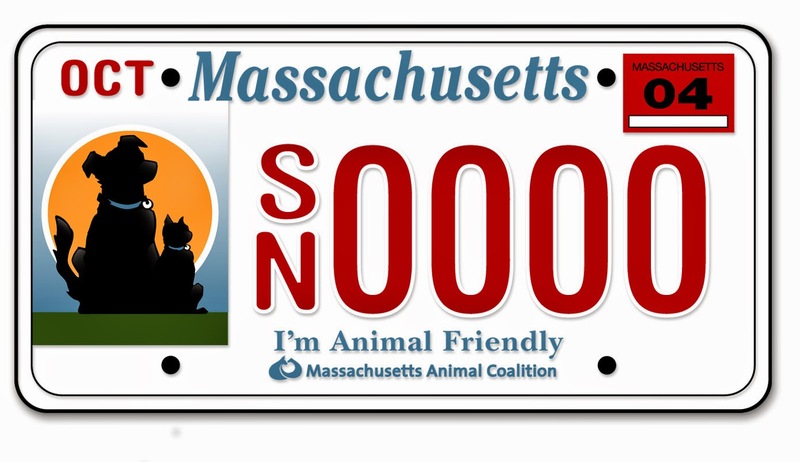 The “I’m Animal Friendly” license plates are a program of the Massachusetts Animal Coalition. Funds are dispersed annually to organizations who demonstrate a need for and provide low-cost spay/neuter services. Massachusetts Animal Coalition (MAC) is a statewide, non-profit organization comprised of animal professionals and individual volunteers dedicated to working together to decrease the number of homeless, neglected, displaced and abused animals in Massachusetts. MAC’s “I’m Animal Friendly” License Plate program helps fund spay and neuter programs across the state. These charitable plates are available through Massachusetts RMV and are tax deductible. The Medfield Animal Shelter's mission is to rescue lost or abandoned animals and provide for their comfort and safety until they are reunited with their owners or placed in new homes. It is a no-kill shelter, which means no pet will ever be euthanized because it has run out of time to find a home. The Shelter is committed to ending the overpopulation of pets that results in an estimated 5 million companion pets being euthanized at shelters in the U.S. every year, therefore all cats, rabbits and dogs adopted from us are spayed and neutered prior to adoption. The Shelter also sponsors a low cost spay/neuter clinic for cats at the shelter once or twice a month, as well as two feral cat clinics each year. Hi share your great post and it is very good qalality of blog.